These are the nominal best of times. 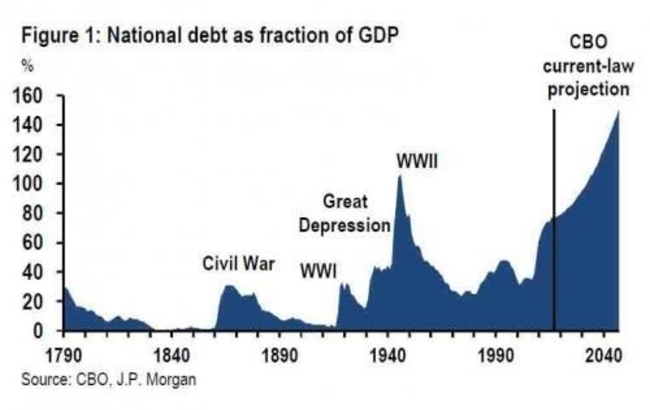 You can build a pretty amazing Potemkin economy if you keep it utterly awash in nearly interest-free debt for 10 years. Short term, you’re rigging impressive-looking headline results. Medium to long term? You’re sowing the seeds of economic disaster. What happens when there is an actual crisis and we find that the magic free debt spigot no longer works? That there are actual consequences to flagrant manipulation of currencies and economies? The national debt has grown by more than $1 TRILLION… just in the last SIX MONTHS. Over the course of several years, that effect compounds into something that’s quite nasty. At the end of 2008, for example, the size of the US economy was $14.5 trillion. A decade later, the size of the economy is $19.7 trillion, 36% greater.